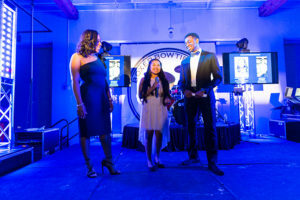 Every year Education Opens Doors partners with Boxer Bowtie Club to throw the Dallas Bowtie Benefit, an evening of giving to increase access to our life-changing Roadmap to Success program. This year we are thrilled to be hosting our signature event at a new venue, Lofty Spaces! Roadmap to Success student Johanna speaks at the 2018 Dallas Bowtie Benefit. Please mark your calendars for Saturday, May 11 and grab your tickets off Eventbrite here. We hope you’ll be able to join us for a memorable evening, including the opportunity to hear directly from one of our students.